Honey Do to Honey Done! A Simple System for a Productive and Happy Household with Absolutely No More Nagging! One of the major and persistent strains on a couple’s relationship is the conflict and nagging that can arise from incomplete household and family tasks. No longer! 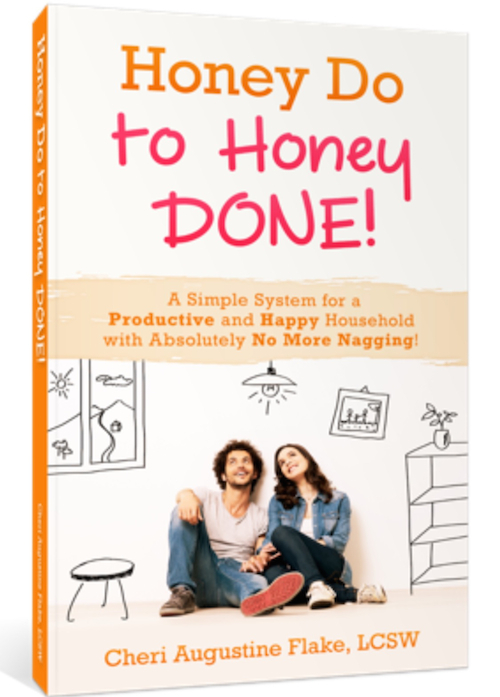 In “Honey Do to Honey Done,” you will find a fun, intuitive, and easy to implement system to enhance your overall household productivity, improve the quality of your communication, and, along the way, infuse more joy into your relationship. Developed over many years of coaching and counseling busy clients, Cheri’s system will revolutionize how you and your spouse or significant other communicate about the myriad details of running a life together. Time to move from “Honey Do to Honey Done”! 10 Methods. 30 Days. A Lifelong Habit.